I feel good taking you through this tip at this time. I mean, you in for a swell time. After reading this post, you are bound to be greeted with another eye opener. So many bloggers, new green horn and experienced have been spending hours or even days and weeks trying to post their blogs on FB with unsatisfactory results. It's either they are unable to get it done at all or they do haphazardly such that they are unable to achieve the desired results. This should not be an issue because with utmost comfort, I do this and get results. Tired of having to monotonously answer questions about the same issue for over one year, I feel compelled from within to make attempt here to explain how I automatically share my blog posts on facebook, twitter using hootsuite. Therefore, please pay a very good attention to what you are reading now as it will make the difference you yearn for. Hootsuite is the key. 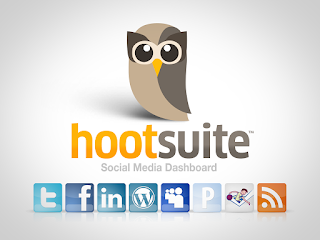 Through Hootsuite, all road leads to your blog or site. 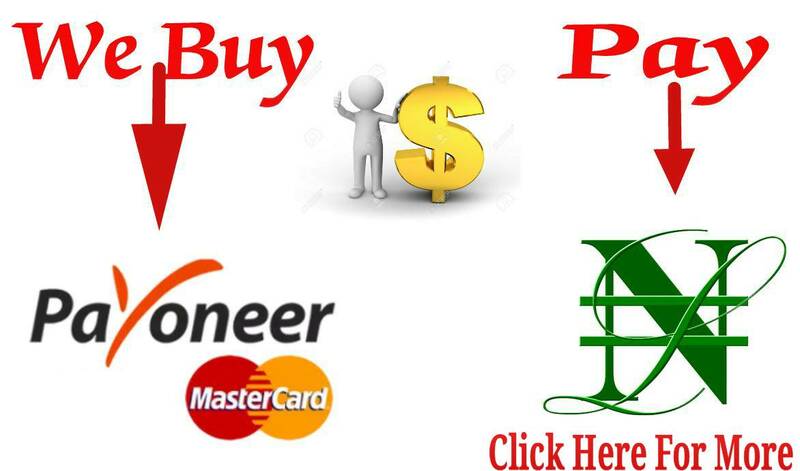 It has the capacity to connect blogs to social media like Facebook, Twitter, and GooglePlus, just mention a few, which in effect, generate traffic to the blog via the social media it's connected to. Once your blog is connected, you will be able to schedule articles that will automatically be posted in such platforms. ==>1. 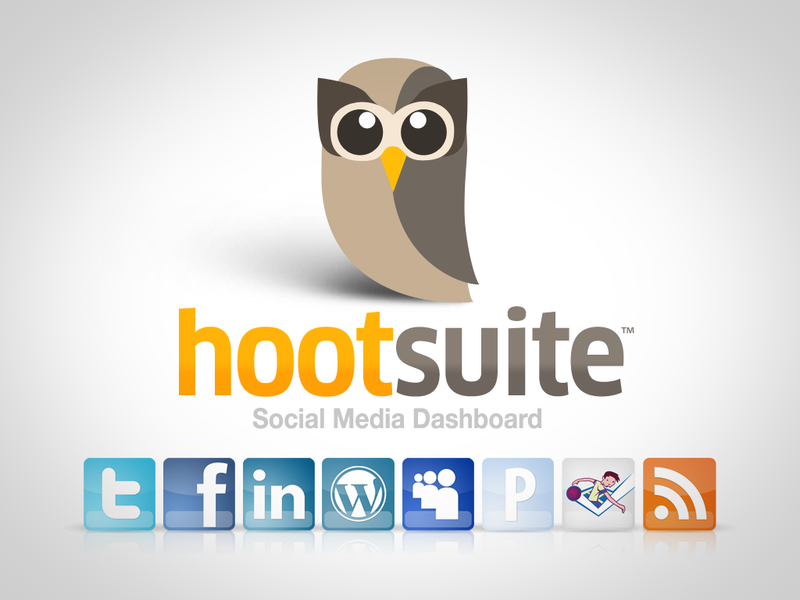 Create a Hootsuite account which is very simple. Sign in with your email address or through Facebook or Twitter or Google. And if you are already having a hootsuite account, all you need to do is log in with your necessary credentials. ==>2. From the menu bar you as see above the option you will select is "Add Social Networks." Then a list of social networks will appear from which you will choose the one to which you want your posts to be sent means of your hootsuite account. ==>3. As you can see from the image above the second one is Facebook, select it. After selecting it, the pop up appearing will prompt you to "Import from Facebook". The process is essentially the same if you want to link your other social media account. At this level, the entire process is free. However as with most online free services, to get the optimum service you will be required to pay a subscription to upgrade. That is where Hootsuite Pro comes in. Upgrading to Hootsuite pro will give you the advantage of connecting all your social network as you can see the options in under "Add Social Network" in the image above. The subscription when I last checked was and I think is still $14.99 for a month and $119.88 for a year. But with your Hootsuite free, you will be able to connect only one account. Another limitation of the Hootsuite free account is that when you want to add your FB groups, you will be able to add just two groups that will have access to your post. Yet, with only those two groups in just one social network, you know the wonders you can spring up. However if you are using Hootsuite pro, there is no such limitation, you can have your posts posted in as many groups as you belong and desire and your choice is almost endless. ==>4. With that in place, the next thing I do is I let Hootsuite do the posting automatically. That's why many bloggers get stuck and resort to doing it manually. In the the icon list on the right side of the page, you will see "Publisher". Then select RSS Feeds. ==>5. 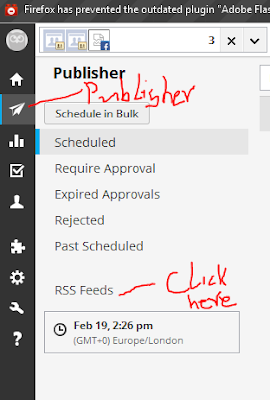 Clicking RSS Feeds will take you to another page. 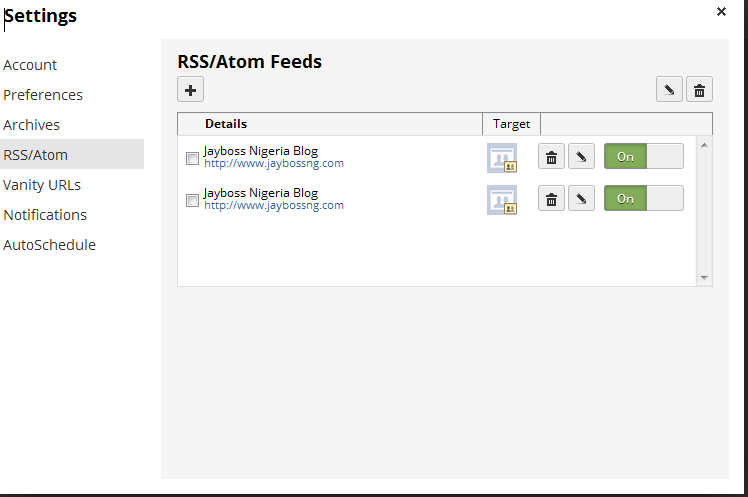 From there, you will see option "RSS/Atom" as you can see from the image below where you choose your preferred groups. ==>6. 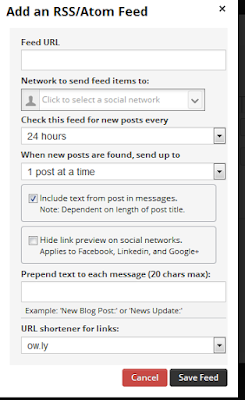 When you click that, you are automatically connecting your feed to Hootsuite and once that is done anytime you do the posting, Hootsuite takes the post to group(s) you selected. ==>7. Under that as you can see toward the left, you will see "RSS/Atoms." When you click that you will be required to fill a form where you will supply all the information needed. Filling the form as you are seeing on the image should not pose any challenge to any blogger because the fields appear to be explicit enough. However, just in case an explanation is needed, let me go this extra mile. In the field "Feed Url" Supply the address of your blog or website, That is the source from which Hootsuite will upload post items. Where you see "Network to send feed items to": Choose your Facebook profile or choose the group you want your posts to be posted. Do this for other social network or groups if you are on Hootsuite pro. Don't forget the prime advantage Hootsuite is offering, so in the field "Check this feed for new posts every," I suggest you choose every one hour. Still there are other options there which I leave to you to decide depending on the frequency of your posting. In any case, it will always check in the time interval you choose and always send whatever new post you have there to the destination you selected. That's the goodie, right? At times you might be inspired to write more than one post on your blog within the time you specified. Or your contributors might coincidentally guest post on your blog. That's why you must specify the number of post you want Hootsuite to send to your group or profile. That's what's you determine in the field "When new posts are found, send up to". You have option of 1, 2 3 and others. But be aware that whatever number you select is the number of posts Hootsuite will send every hour or two hours or time interval you specified. Before leaving the page, be sure you understand the implications of each option you select and once that is done, click save. Each time I do publish on my blog, Hootsuite always send it to my profile on FB. It will always update yours with your latest (number of) post. 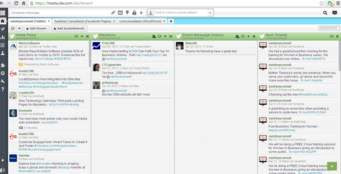 And especially if you are using Hootsuite pro, all your social network and groups get to see your post.